Mission Viejo has been sued for its admitted violation of state voting law after failing to switch its city council to district elections. Mayor declares city safe from a law suit over electing city council members by district. But there is confusion over what actually happened. Mission Viejo is looking for an alternative to solve its racially polarized voting problem after the City Council decided unanimously district elections won’t work for the city in an unprecedented move for an Orange County city struggling with racially separated voting attitudes. 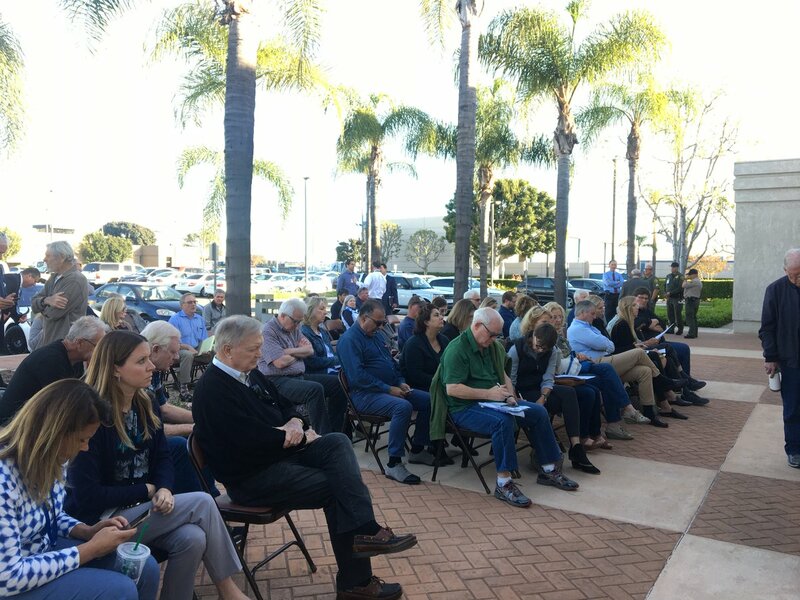 The Mission Viejo City Council held the fourth of five required public hearings on a potential switch from at-large council elections to district-based elections, but resisted calls from the public to weigh-in and deliver their thoughts on the issue. South Orange County had its share of challenges in 2017: a Laguna Niguel Mayor stepping down and eventually resigning from the council after being accused of bullying while he found contract cost overruns, two cities switching to district elections and a wireless firm contracting with various cities while making unclear promises of legal protections and taking a large percentage of revenue. An earlier Voice of OC dispatch about today’s Airport Commission meeting incorrectly said the meeting would begin at 5:30 p.m., when it in fact began at 5 p.m. Voice of OC regrets the error.